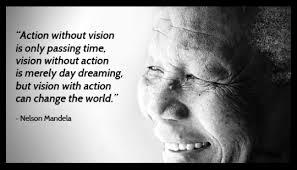 This week sees the passing of Nelson Mandela. My thoughts and prayers are with his family, close friends and the people of South Africa. Through his determination, courage and leadership, Mandela illustrated the ability to transfigure the burden and injustice of Apartheid South Africa into the hope and aspiration for all in a new democratic state. He was a champion for human dignity, self determination and freedom, leaving this world as arguably the most influential politician of the late 20th century. South Africa remains far from being the state he envisaged; it remains a fractured country, full of inequalities. However we can only pray his legacy lives on and is implemented by all politicians who follow in his footsteps. November is all about Jazz…and photography! Have you popped into a Pop Up Shop? THOUGHT provoking article and fitting tribute to Tata Madiba….